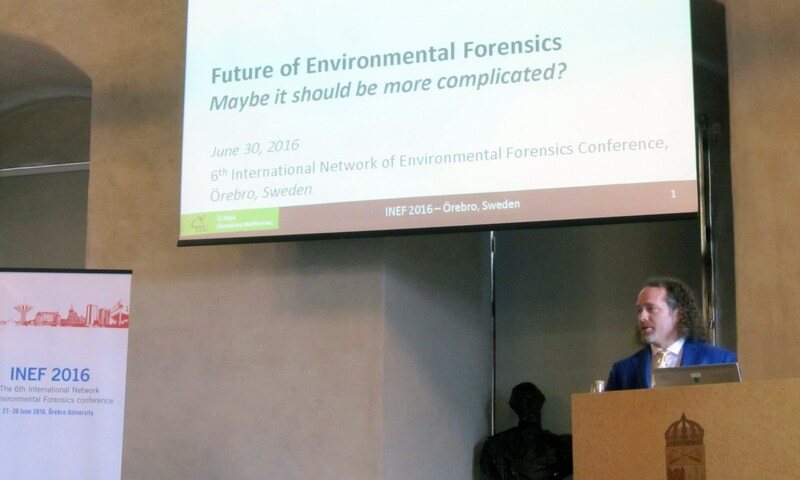 During the months before the INEF 2016 conference, I was thinking about my talk on environmental forensics. I feel like I “do” environmental forensics on most of my projects, even the ones that are not litigation based, so I was asking myself “What is environmental forensics?”. When you ask people, they assume that environmental forensics must have a legal component to it. Although that can be a major reason for environmental forensics, I do not believe it is the only one. During my plenary presentation at INEF 2016 in June 2016, I used the example of Dr. Soren Jensen’s discovery of PCBs and Dr. Chris Rappe’s work on identifying PCDD/Fs in samples from Times Beach and other trichlorophenol-related environmental investigations in the day. Both scientists needed to investigate using the scientific instruments and techniques available to them as well as the scientific method to identify these contaminants. It was not litigation based, but it was fundamental research to identify a chemical or group of chemicals for the very first time, and I believe these scientists were doing "environmental forensics”. In 1996, I was researching hydroxylated metabolites of PCBs in polar bear blood. There were only 2 labs in the world doing this work, one of which was me. As part of this research, I would take polar bear blood, run it through an extraction, and clean up and inject it on a gas chromatograph and measured everything with mass spectrometry. I knew what most of the compounds were in the samples, but there was always one peak that was bigger than the rest which I did not know what it was. So, I needed to identify it. I took 1 L of polar bear blood (not from one bear of course), then I extracted and purified this blood so it was as clean as possible. 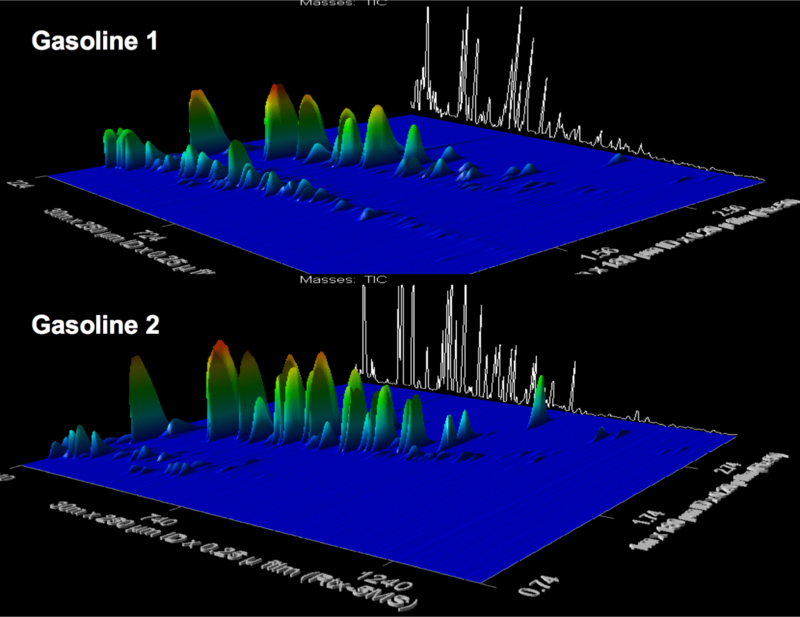 I reduced that extract to a very small volume and injected it into a GC-high resolution mass spectrometer. This gave the exact mass of the compound, and from that, I was able to propose a chemical structure for this unknown compound. I then had the proposed compound chemically synthesized so I had a standard to compare against it. The chemical standard was shipped to me, and I excitedly prepared a solution of it for the mass spectrometer to see if the compound was a match. I was excited when I final realized it was a perfect match to the unknown chemical. I had identified the major POP metabolite in polar bear blood, a metabolite of octachlorostyrene. It was a major discovery for my thesis work but unfortunately was not that large of a scientific discovery with much worldly relevance. But, I had just discovered a new compound and that was a great feeling. The little cited paper can be found here. This process was environmental forensics. As I planned my talk over the last several months, I wondered where the word forensics comes from. Forensics is derived from the Latin word forens, which means belonging to the public or forum. In ancient Rome, when people had a disagreement and needed help to settle it, they would go to the public meeting. Each side would plead their case, and the public would determine an appropriate outcome. They needed to plead their case to the public which is what environmental forensics is very commonly used for. For most of my work, I am required to provide evidence to public stakeholders and regulators demonstrating that the science is sound and the results I am showing them are correctly interpreted. 1. Environmental forensics is not only for litigation matters. I then proposed the following extended definition for the term which expands upon its original definition. Environmental forensics - determining identity, source, or timing of contaminant release for the purpose of public communication and/or litigation. In my next blog, I'll cover the second of the 5 outlooks of environmental forensics: Environmental Forensics and Regulatory Compounds.